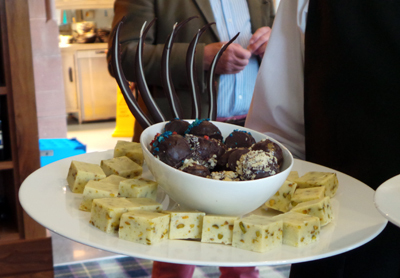 Edinburgh Foody was invited last week to the launch of the first Chocolatier Larder for Scotland. What wonderful news! 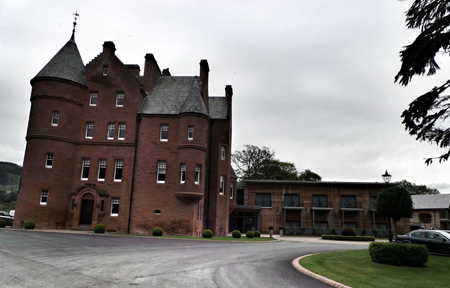 Sophie went to Pitlochry to discover the new Fonab Castle Spa Hotel and the exciting first Scottish Chocolatier Guide. The chocolate industry is a very dynamic sector in Scotland. 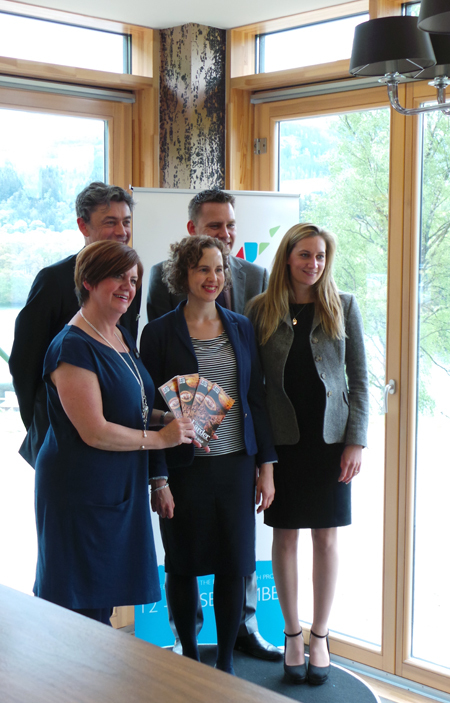 When Julie Collier from the Scottish Chocolatiers Network, started to work on this chocolatier guide 3 years ago, only 21 chocolatiers were known in the entire country. Today, 69 chocolatiers are listed in this first guide. It represents quite a lot of chocolate options for Scotland! The largest concentration of chocolatiers is in Edinburgh, but you could have your very own local chocolatier even in the most retired part of Scotland. The northern Scottish chocolatier is based in the Orkney islands, but there are chocolatiers in all part of the country, you just have to see it for yourself on this very practical map. These chocolatiers are creating by hand an amazing range of chocolates from truffles to raw chocolates. It is quite remarkable to see that each chocolatier has created it is own product: the Chocolate Tree in Edinburgh prepare its chocolates from the bean or IQ Superfood Chocolate in Stirling offers raw chocolate with no added refined sugar. Evidently the cacao used to create the chocolates prepared by the Scottish artisans is not from this land. However, most of the chocolatiers are trying to use Scottish products to create their final products. Cream, milk, berries are only a few example of those local products. This guide was written and edited by the List offering already renowned food and drink guides for each region of Scotland. Check them out! You could discover some quite interesting producers and restaurants in each region. The chocolate guide is a very useful and well-prepared piece of information for all chocolate lovers (from Scotland and beyond!). Presented on a map, it is easy to locate the different artisans, and you will be able to know if they have a shop open to the public, a café or if they are not open to the public. If they are not open to the public, don’t worry; you will discover how to buy their chocolates from the chocolatier description. The food and drink industry in Scotland is flourishing, and artisan chocolatiers are one good example of this fact. This chocolatier guide is acknowledging it by helping the chocolate artisans to be on “the Scottish food map”. As you may know, 2015 will be the food and drink year in Scotland. This guide is just on time to represent our beautiful products to the Scottish visitors and the tourists coming to discover our beautiful country. We definitively think that a chocolatier visit during a trip is always a nice addition to the programme! Last updated by Sophie Maulevrier at September 10, 2014 .